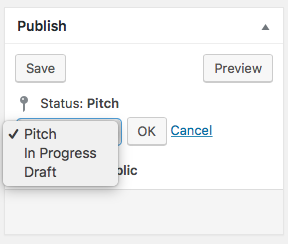 By default, most WordPress users have access to the “Publish” button. Anyone who is an Author, Editor or Administrator can publish content. 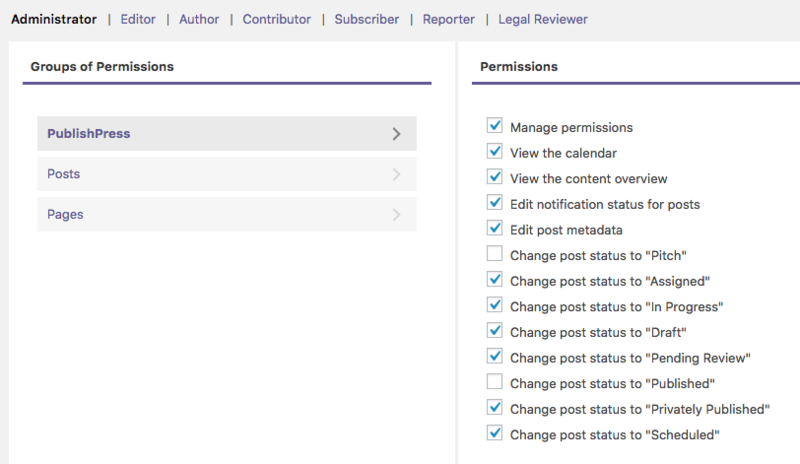 If you need more flexibility, then the PublishPress Permissions add-on is the solution. The image below shows the content permissions available with the PublishPress Permissions add-on. You can choose which statuses are available to each user group. PublishPress allows you to create your own publishing statuses and user groups. So, in short, you can customize your publishing statuses, user groups, and the permissions that link them together. How would this permissions chart work out for real users? The image below shows what users in the Author group can see. 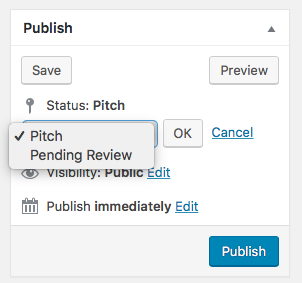 They can save the content to the “Pitch” and “Pending Review” statuses. Or, they can publish the content. This next image shows what users in the Contributor group can see. 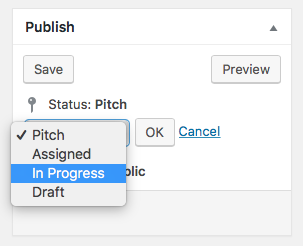 They can save the content to the “Pitch”, “In Progress” and “Draft” statuses. They can not publish the content – the Publish button is hidden from them. It’s worth noting that the permissions are cumulative. This means if someone is in both user groups, they will get the permissions from both groups. For example, this image shows someone who is in the Contributor and Photographer groups.